Many times we hear these phrases of encouragement to keep pushing through after all the hardships, challenges and obstacles in life. These tell us that before you reach the top, before being able to be successful; you have to sacrifice a lot, even moving heaven and earth just to be there on the pedestal. Success tastes bitter when it is easily gained or attained but it tastes sweeter, even better when we worked hard and smart for it. 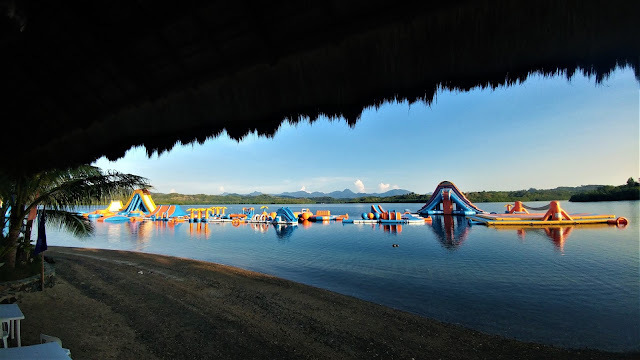 I can associate my recent experience at the Aqua Play Parks in Kamia Bay Resorts Puerto Princesa Palawan with these phrases. 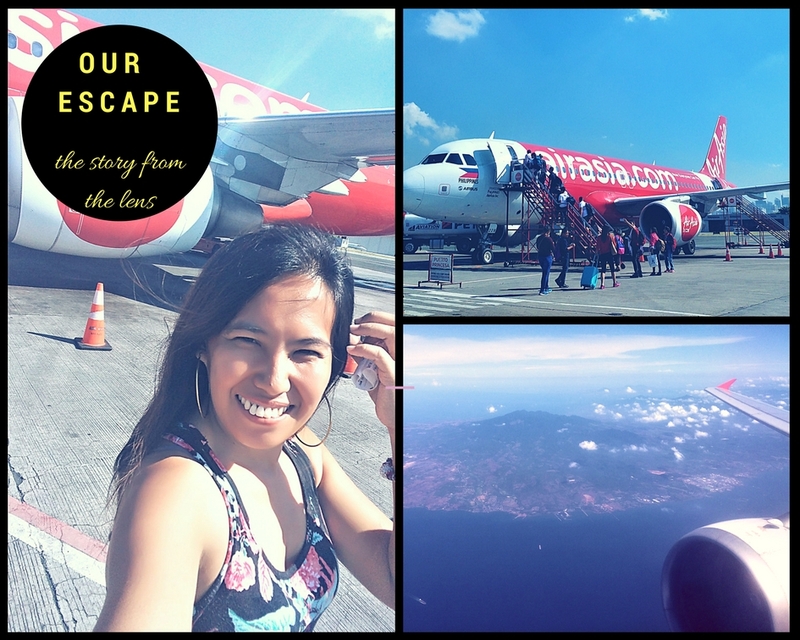 They perfectly explain my realizations after the wonderful trip that was like a dream come true. You know, I am not a scaredy cat. Actually, I have gone through a lot in life and I fought and I have won. I thought the strength I have shown over the past is enough to call me an empowered woman but then I realized, I am still missing some things in my life. I still have few fears that I must overcome, I still have greater heights to soar and greater challenges to face, that will finally fulfill some of the empty spaces within me. Many times, I don't want to leave my kids to relatives or to other people. We are a family that values being together at all times. Our bond is just too tight that it pains me to see them sad while I leave, but I have dreams for myself that I can't share with them for now. The thought of riding an airplane, gives me worries, a lot of what-ifs; too many negative thoughts that I usually would want to shake off. But then, traveling and seeing how beautiful my country is, has been a long-time dream of mine. I want to discover more, learn better and see a lot about life at my own land. So I ditched every doubt and every fear and taught my self to embrace and enjoy the adventure that was in store. So we reached the beautiful Kamia Bay Resort located in Binunsalian Bay Puerto Princesa Palawan in the afternoon of April 27, 2018. The ride itself from the town proper to the island was already an adventure for the beautiful sceneries along the way - old, huge trees almost covering the wide roads like giant umbrellas; green plains and fields with livestock freely roaming around and the magnificent view of the sea and the mountains and cliffs. Upon seeing the waterpark, I thought it was the same inflatable park I used to see at the nearby provinces where all I need to do is sit on the floating pieces and strike a pose like a "pabebe girl" for some instagrammable shots that I can brag and flaunt over my social media and blogs. But after some brief introduction, I realized it's way too different and it's not for people who wouldn't dare extreme adventures and endless fun. The 3,800 square meters inflatable playground is just so huge that you need a lot of courage and energy to try everything inside the park. The challenge starts from the shoreline. 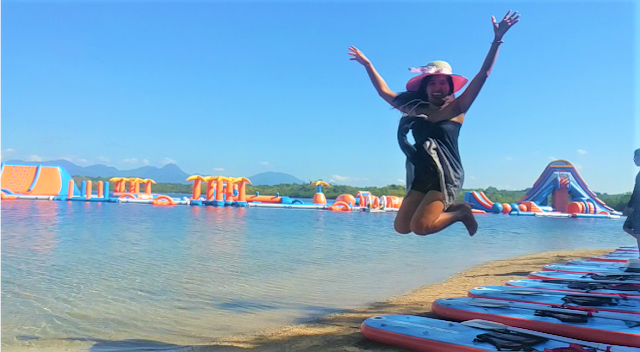 At around 10 meters away from the shore, you need to paddle a kayak to reach any of the inflatables. Not only the challenge starts from the dry sands but the fun and enjoyment as well, as paddling gives you the chance to manipulate your own path. It gives you an option of where to go and what to do to reach your goal or your destination. You wanna test your skills like how you juggle and balance all those unlimited responsibilities in your daily life in this fast-paced world? Try those big floating balls and take giant leaps from one another in order to reach the other parts of the waterpark. Surely you will fall many times because they are unstable; but just like how we treat life as it is, we may stumble and fall a lot of times but it's the moments of getting up and re-trying that counts. You may also would wanna try those huge poles to test how well you can strategize in life. The huge poles made me realized that experience really is the best teacher in life. While those guests who are way younger than me tried a couple of times or more before they get to cross the other end, I did it for just one take. I guess that's because I have learned so much from my previous experiences in life and that I let my brain think first before I act. I don't jump into something without thinking out of the box first. 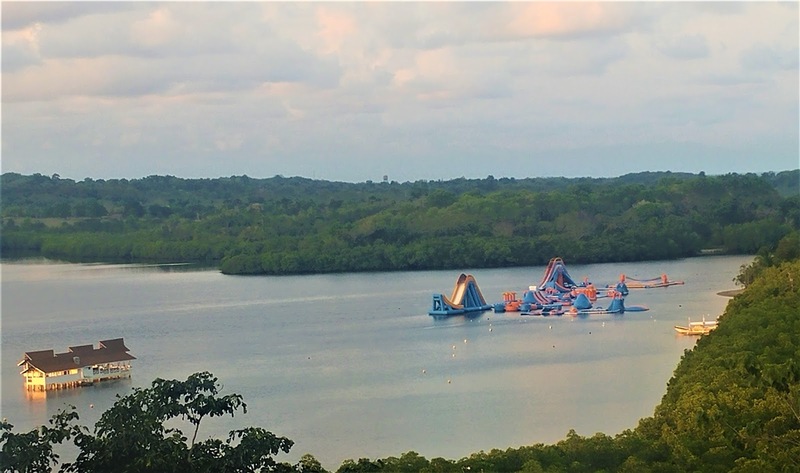 What about the thrill and the feel of sliding down from as high as 40ft then tossing into the air before falling down helplessly into the water like what the Slidezilla made me experience? Sometimes in life, we are at the peak of everything - happiness, power, money etc then surprisingly we slide down so fast, that we can no longer control everything. We were thrown away from an unimaginable place, from an unfamiliar side of the world. But the best part of it, is wanting to swim and return back to the life that we love; regaining our composure, moving on and getting a life again. 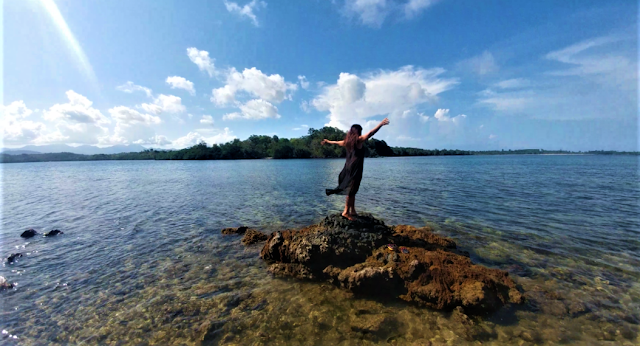 The whole place at the Binunsalian Bay is picturesque and it is really a testament of God's love to mankind. The place is abundant in nature and you can experience life at its best at the floating park. Within a day we managed to explore the whole island and the nearby islands. The place is surrounded by giant mangroves and breathtaking rock formations that are a worthy subject for photographers of all kinds. 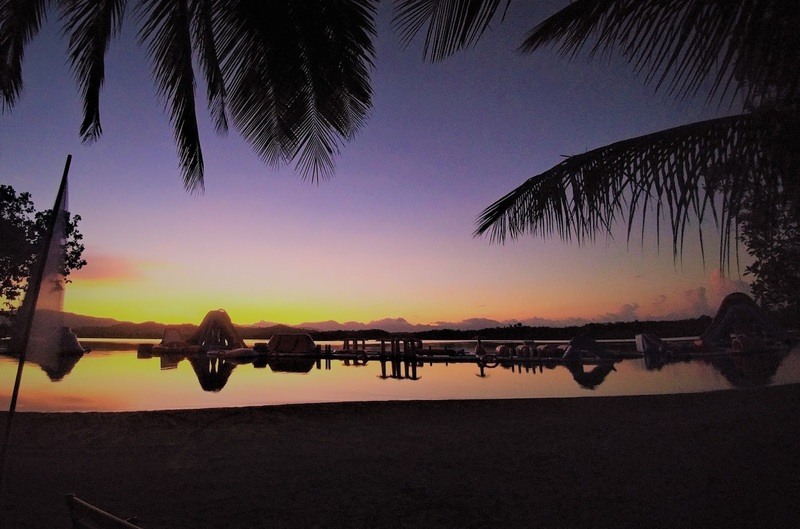 The calm, pristine sea water always invites anyone to take a dip and feel nature. Mermaid in black? Whatever, black never goes out of style. Surely, all the activities and experiences were tiring, exhausting, draining. We were aching from head to toe, literally. But once you look back at the bay before darkness completely capture the place, you will realize, that nothing in this world is being achieved by a small step. Success to be possible needs investment - physical, mental, emotional, spiritual. Success is always associated with pain and sufferings as you will never learn to value the importance of it if you haven't gone through heartaches and failures and if you haven't learned to cry and to sweat.